Royal Caribbean International have announced that the upcoming cruise ship Anthem of the Seas is to sail out of Southampton from April 2015 and sail Mediterranean cruises. The announcement was made during a live event in the Heron tower in London, UK which also featured anthems from the Royal Philharmonic Orchestra. The ship will also be sailing from Fort Lauderdale, Florida providing cruises to the Caribbean in the winter season. People planning on booking a cruise on the innovative ship will have more options from two different regions of the world. Anthem of the Seas will be taking over from Independence of the Seas which is sailing from the UK but the cruise line has not released any information on where the ship will transfer to. Anthem of the Seas will be the most innovative cruise ship ever to sail from the UK and just shows the growing demand in the UK cruise market. P&O’s Britannia ship will also debut not long before so British and European cruisers can expect to have lots of attention next year! Anthem of the Seas is currently being built at the popular Meyer Werft shipyard in Papenburg, Germany and will bring brand new features at sea including the North Star which is a London Eye type booth attached to a large arm extending high and above the ship. SeaPlex will bring even more activities including Bumper Cars and Rolling skating. The Seaplex will also be able to hold special music events. Earlier we made some predictions about this announcement and most of them were wrong! You can read the post here. 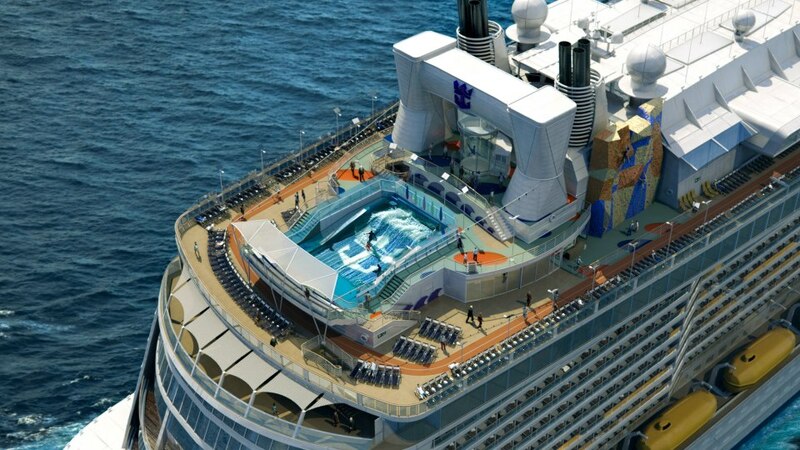 Anthem of the Seas is to be the second ship built in the Quantum class at 167,800 tons and carrying 4,180 passengers. Let us know what you think of the ship and the event in the comments below.